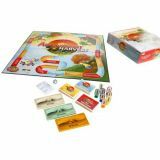 Abundant Harvest is a one of a kind board game designed to help families and educators open the door to more effective communication, encourage decision making based on principles such as honesty, loyalty and commitment with the intent of reinforcing the Law of the Harvest, basically "you reap what you sow". 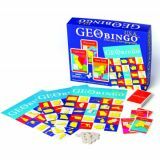 GeoBingo is a new twist on a classic game and a new way to make geography fun! 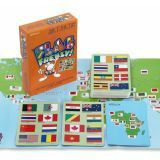 The goal of GeoBingo is to get 5 countries in a row on one of the 8 GeoBingo™ Boards, then yell BINGO! 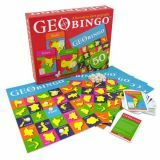 GeoBingo World contains 50 country cards, representing the world's most populous nations, that show each country's capital, land area, population, and geographic location. 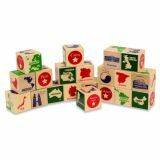 GeoBlocks set of 20 real wooden blocks, made from sustainably harvested wood. 6 sides include names of countries, capitals and continents, as well as national symbols and world map. GeoCards World are 5 Card Games in One That Make Geography Fun! 50 Jumbo Sized Cards (4.5" x 6.0") show countries on one side and capitals on the other. GeoCards also have population, land area information for each country, and rules for five different games for 1-4 players. 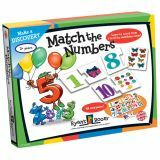 Learn to count and recognize numbers from 1-10 by pairing numbers with the correct number of objects. 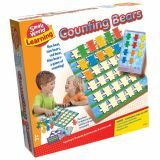 Develops number recognition and hand-eye coordination. An ancient Chinese game for solving imaginative, geometrical shaped puzzles. A true classic! 70 double-sided example/solution cards and 7 plastic shapes. Great fun for young and old. 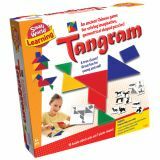 Enhances the ability to differentiate shapes and the understanding that a combination of several geometric shapes create another shape. 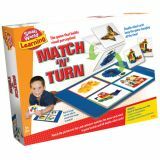 Improves concentration and problem solving skills.